So, here is the last post from my Napa getaway! 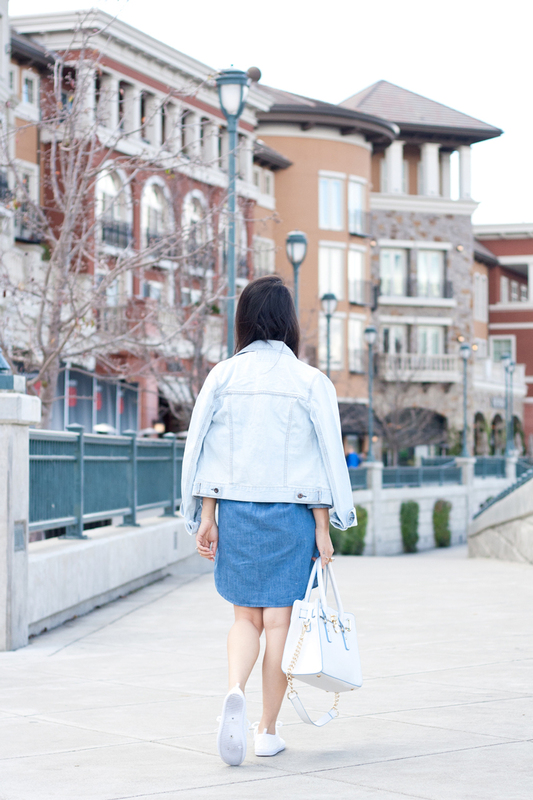 Downtown Napa is quite quaint and the Riverfront is gorgeous so we decided to capture my denim on denim look there... a denim shirt dress topped with a denim jacket. 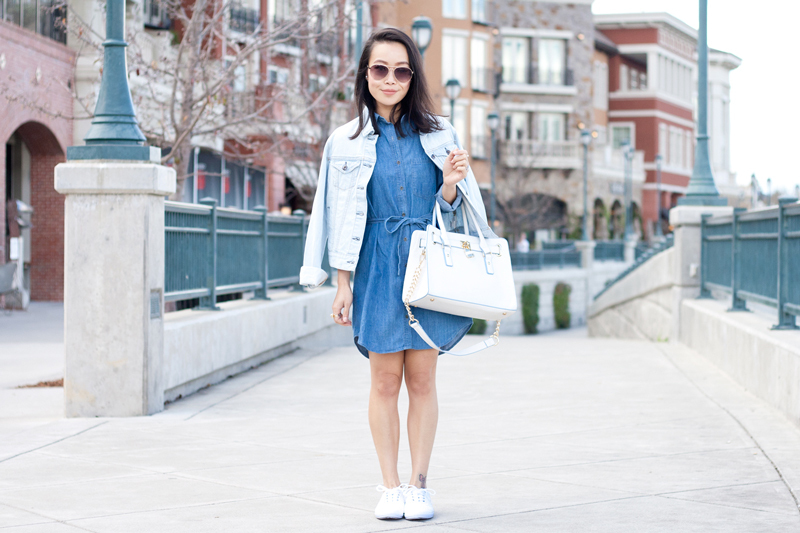 Denim is one of my favorite things to wear while traveling. Not only is it versatile, it is also a material that is easy to move around in and less likely to get ruined. I mean, I much rather be running around town enjoying my vacation than having to worry if I would snag my silk dress every two seconds. 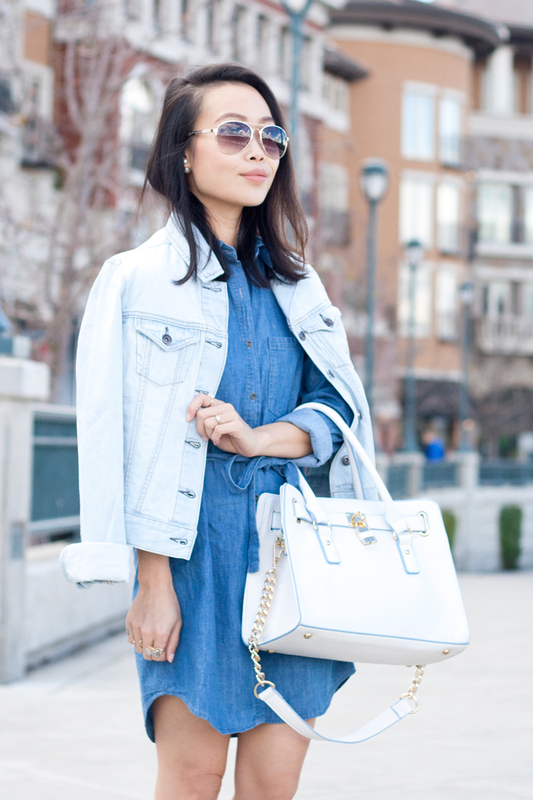 You get the point, denim is low maintenance. Hence, perfect for traveling! 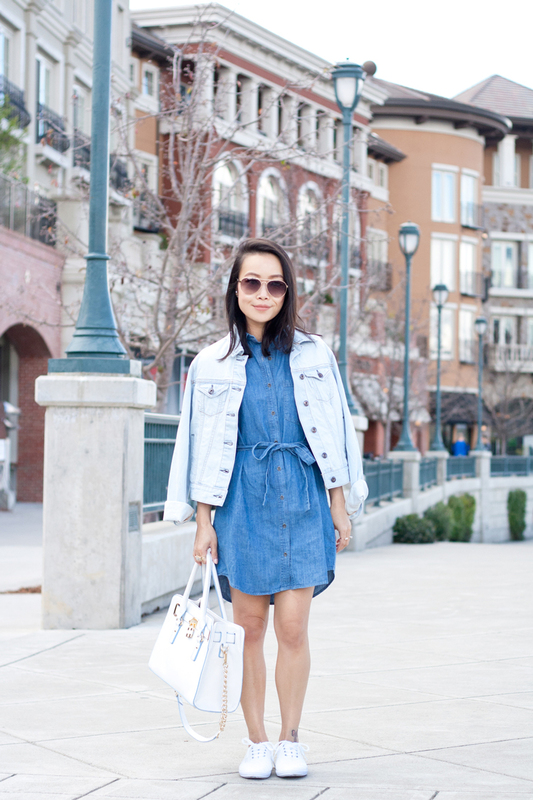 Denim shirt dress c/o F21. 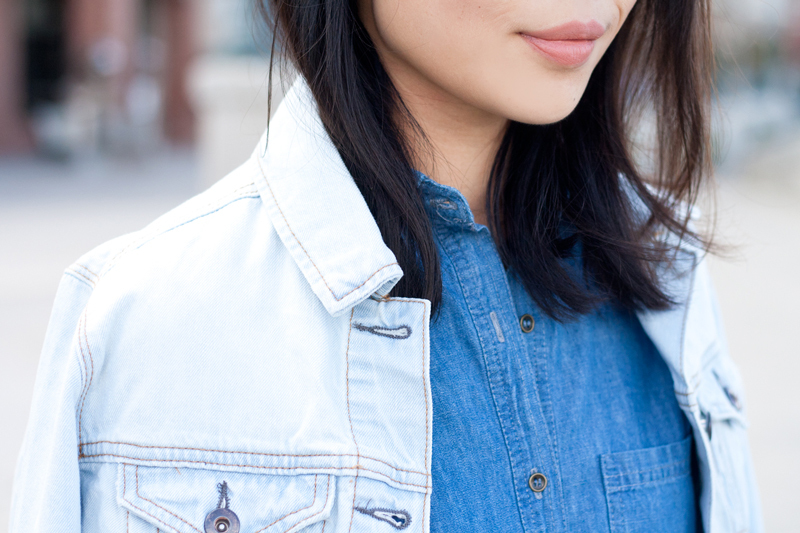 Classic denim jacket c/o F21. Lockbox satchel c/o Charming Charlie. Quilted sneakers c/o Charlotte Russe. Love it, so bright and springful!